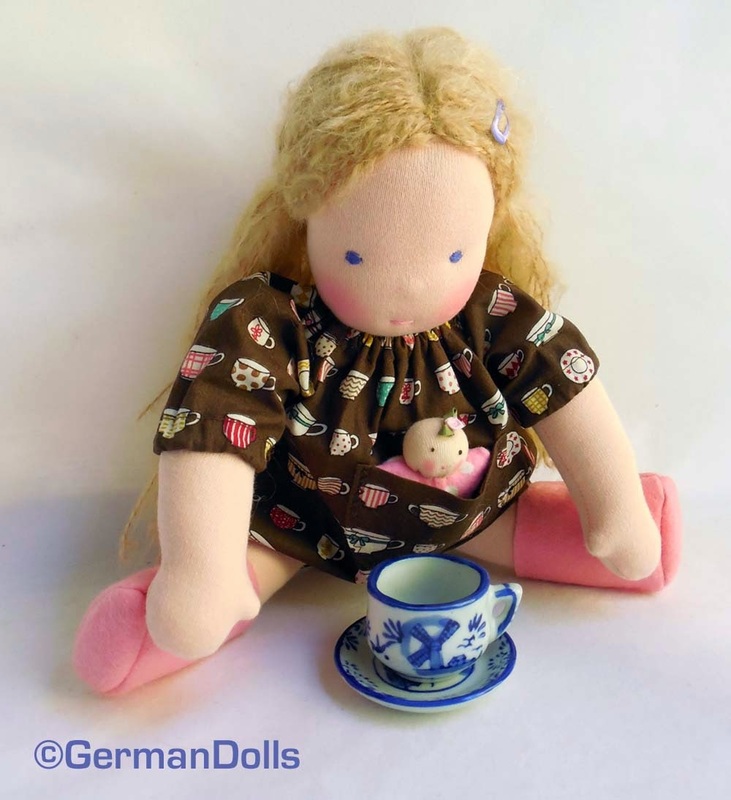 I finished this sweet blond doll in a tea cup dress yesterday. I love her cornflower blue eyes. 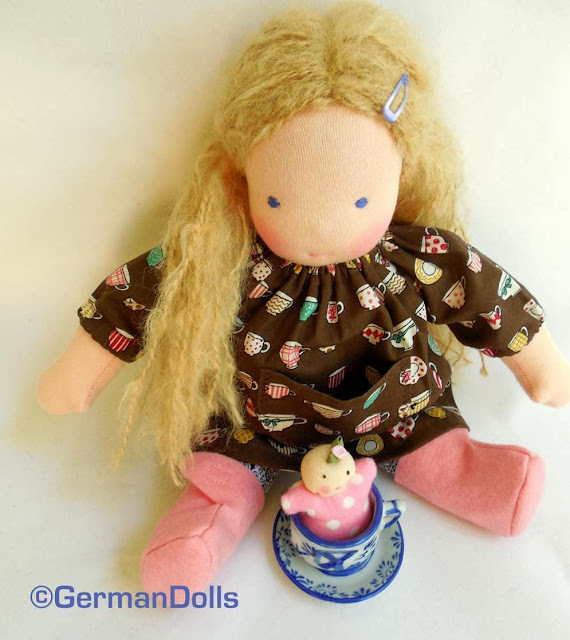 It looks so sweet in combination with her long blond hair. I named her Francine. As the days are growing colder I am much inclined to make cups of tea at all hours. So maybe today we'll invite some other friends to come to our tea party? For now little Francy found a little friend sitting inside her tea cup. How in the world did you get in there, little Dotty? What's your favorite kind of tea? I am kind of partial towards mint tea. But a nice Earl Grey served along with cucumber sandwiches and a strawberry scones sounds good to me, too.